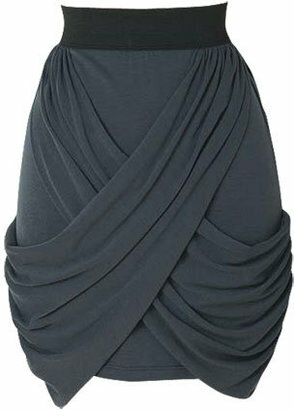 For a similar look in gray, try this Knit Drape Skirt, just $29.80 at Alloy.com. Great find. I love this. What would you suggest be worn on top? BB Dakota makes a shorter sexier version. It's amazing!